Simply is the ideal solution for those looking for simplicity and practicality in a single product, without sacrificing performance. 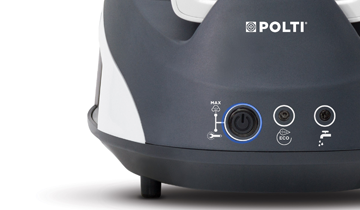 Unlimited autonomy, quick heating in two minutes and the ability to fill the tank at any time make Vaporella Simply faster than a conventional iron! CHOOSE ECO FUNCTION: REDUCE CONSUMPTION! 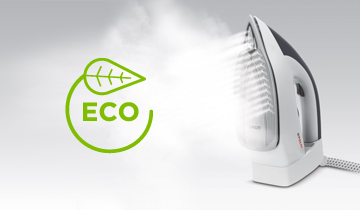 If you want to reduce consumption, select the ECO function that guarantees a 25% saving of energy and 27% of water without compromising the ironing result. 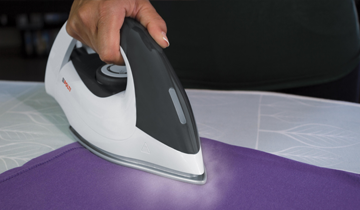 Perfectly and comfortably iron all your garments thanks to the light iron with an anti-scratch ceramic soleplate with high smoothness and precision tip. The steam comes uniformly out from the holes on the tip and on the sides of the soleplate and penetrates deep into the fibres. 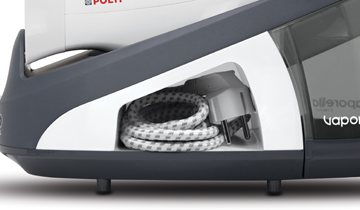 While you are ironing you can also park the iron vertically without having to put it on the machine. Iron without inconvenient breaks thanks to the 1.5l removable water tank that you can fill whenever you want. A real benefit that guarantees both a great saving of time and long ironing sessions, without sacrificing performance! 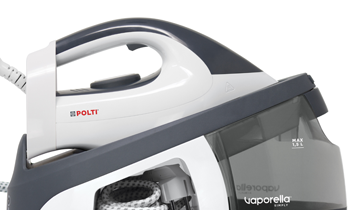 Regularly cleaning Vaporella Simply with the Cleaninig Clalc System will help improve its performance and durability. This easily removed the limescale ensuring better steam output. SIMPLY IN NAME AND IN PRACTICE! 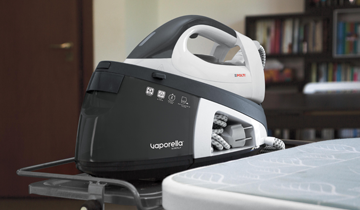 Once the ironing is finished, put the steam hose and the power cable in their compartment, then store Vaporella Simply using the iron lock that facilitates transport.